> Blog > Personal Injuries > Personal Injury FAQs > Is My Personal Injury Settlement Taxable? Maybe – whether you have to pay taxes on a personal injury settlement will depend on the nature of the award and, specifically, whether it is intended to compensate you for physical injuries or illnesses. Whether a personal injury settlement is taxable will depend on the nature of the damages awarded, a Portland personal injury lawyer explains. The reason for this is that such compensatory damages are considered to be repayment for some loss suffered – they are not, in contrast, seen as income (from the IRS’s and state government’s perspectives). Compensation only for emotional harm – So, if no physical injuries were sustained as a result of the negligence, financial recoveries from these cases that only involve emotional harm would typically be taxable. 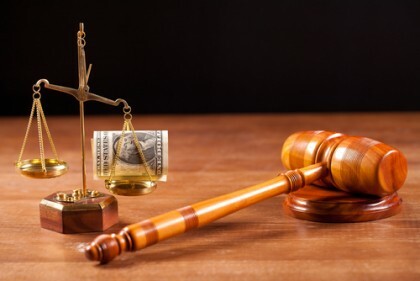 Punitive damages – These awards are meant to punish some negligent party, rather than specifically compensate the plaintiff (i.e., the injured party) for some loss. As such, these damages, when awarded, would also typically be subject to taxes. When it comes to paying taxes on personal injury settlements, the bottom line is that working with an experienced lawyer can be pivotal to minimizing your tax obligations and working out the best possible settlement for you. If you or a loved one has been harmed by any form of negligence, you can rely on the Portland personal injury at the Savage Law Firm for experienced help and aggressive legal advocacy. For more than three decades, our lawyers have been devoted to providing each of our clients with personal attention, respect and the highest quality legal services. We realize how devastating a personal injury can be on a physical. That is why our lawyers are here to aggressively defend injured people’s rights to both justice and compensation.